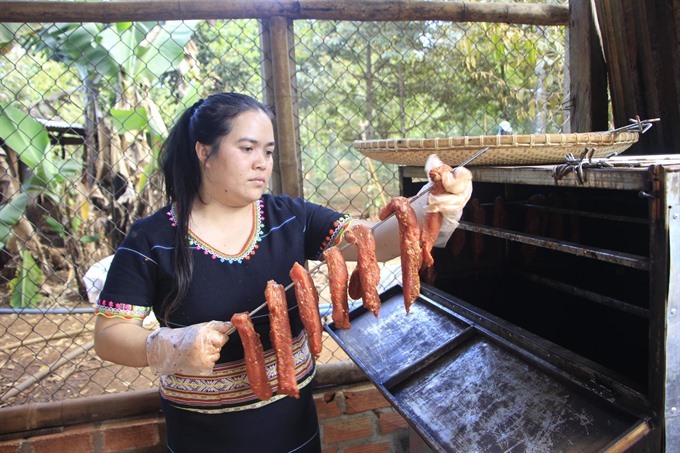 People in Viet Nam’s mountainous regions cook some of the finest food the country has to offer, with their different takes on smoked pork and buffalo particularly delightful. 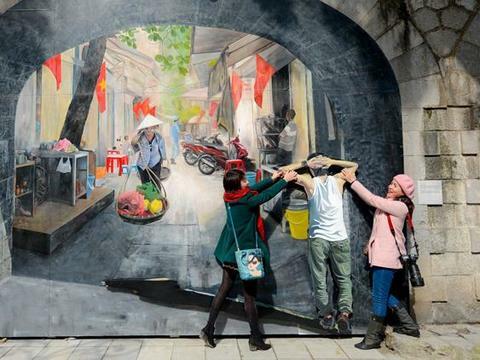 The Jrai ethnic minority in the Central Highlands province of Gia Lai welcome their traditional new year in April, the beginning of the rainy season. During the festive season, they gather in their stilt houses and celebrate with food, drink and conversation. Each family often kills a pig they have raised for the past year for the occasion. After being slaughtered and cut into pieces, ginger, dry red chilli, pepper and salt are added to the pork. The meat is left with the spices for four hours before being skewered onto pointed bamboo sticks and left to dry above a coal fire for two days. The pork is turned round to be dried gradually on the fire for up to a week. After this, it’s ready to be baked on red charcoal. When the pork is baked, Jrai people beat it to tear into small strings. The pork will look dry and hard but in fact, it is soft, tasty and sweet. The dish is served salt made from yellow ants, another delicacy of the central region. 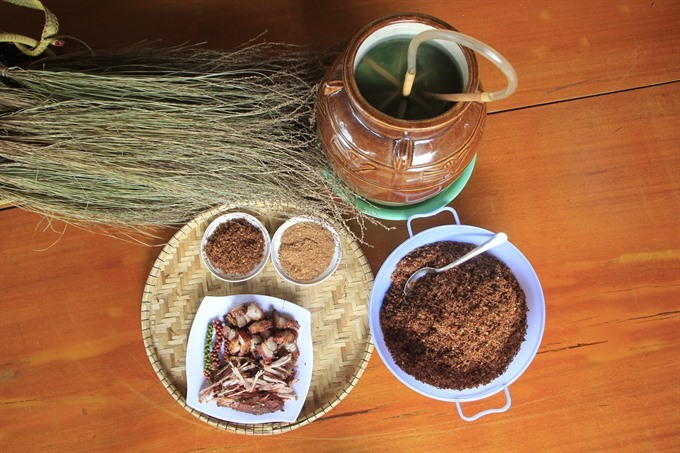 Locals take yellow ants from nearby forests, roast them and the beat them into to powder to mix with salt and chilli. The mixture is then dried to preserve it longer. The mixture has the sour flavour of the ants and the hot, salty chilli. 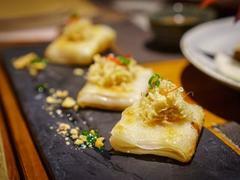 The baked pork dipped with ant salt mixture has long been a delicacy of Jrai people. “Every year, near traditional new year, we make the dish,” said Ro Cham July, a resident in Mrong Yo 2 Village, Chu Pah District. Many tourists have asked July to make the dish for them. She said her secret was using dry coffee plants or sugarcane to make the fire so the pork is smoked more slowly and is imbued with the odour of the fire. People travelling to the northwestern mountainous region often take the chance to taste smoked buffalo by local ethnic Thai people. 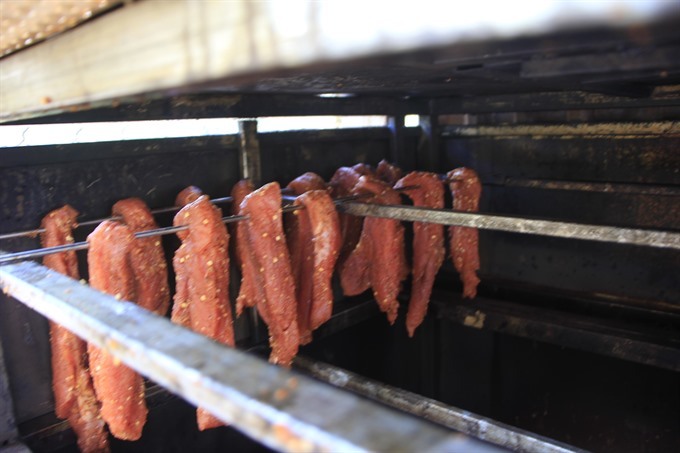 As the region lacks a long sunny season, locals prefer baked and smoked meat during the chilly winter and preserve buffalo meat for a long time. 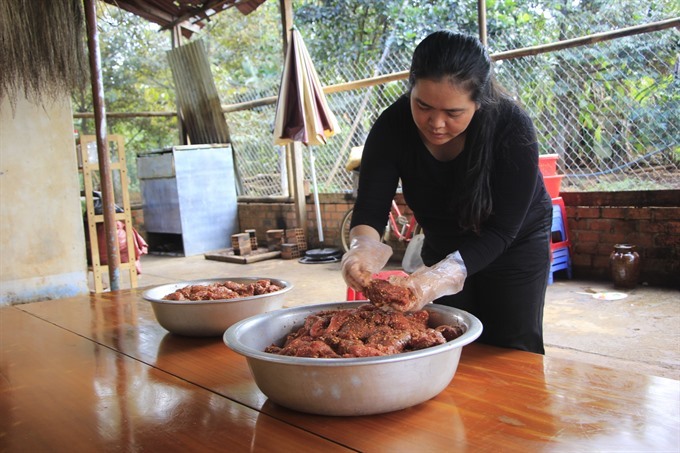 “Buffalo meat for the dish should be selected carefully, the most suitable part would be thighs,” said Lo Thi Suong, of black Thai group, from Tau Village, Hua Thanh Commune, Dien Bien Province, who sells the delicacy. 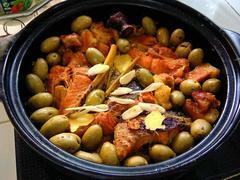 The meat should be free from hard muscles and tendons so it’s soft and tender. The buffalos should be raised naturally and allowed to wander around the high mountains and eat wild grass. “The meat will then be tastier with natural flavours,” she said. When it’s time to cook, the thighs are cut into long strips. The strips are then beaten to easily absorb spices like chilli, ginger, lemongrass, garlic and mac khen (local wild pepper). The meat is then left to marinate for three hours. The meat strips are then hung over the fire for four days. The meat is cooked slowly to ensure consistency and to help preserve it for months. 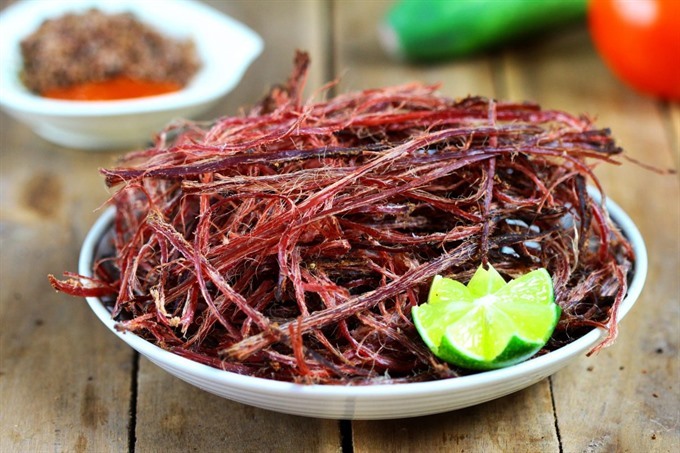 The buffalo meat is nutritious and tastes unforgettable, according to Suong.